ENGENCO offers a wide variety of generator and engine components in Victoria, TX. If you need Caterpillar parts or products, commercial generator sets, or rebuilt engines, we can help. Reach out to us today from anywhere in the World for industrial or marine engine parts. We also provide new, rebuilt, and used commercial generators. We have engine generator ends available in all kilowatts, voltages, and brands. If you need generator sets or an engine water pump for industrial or commercial applications, contact us today. Having an engine break down in the middle of your oilfield operations is never good and can lead to millions in lost revenue for your company. Ensure this does not happen with the help of ENGENCO. We offer reliable engine components in Victoria, TX, to keep your equipment running at peak efficiency. With everything from new engines and generators to individual parts, we carry everything you need to keep your machinery going. Our skilled technicians have experience installing the components we offer. This ensures that your new parts work flawlessly, minimizing your operational downtime. Whether you need a new crankshaft for your drilling rig or a new marine engine on your supply ship, our company has the parts for you. 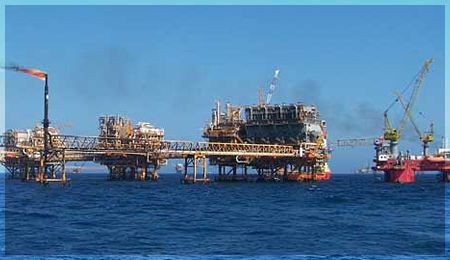 We always strive to provide the same excellent service whether your operation is on land or sea. This way, you have peace of mind that your equipment will work no matter where you are. Additionally, our technicians are equipped with the right tools to take care of everything your component installations need. We will ensure that your new parts mesh with your old systems and that your equipment runs correctly. This same care is applied to our rebuilt engines so that they run as good as new. Contact us when you need high-quality parts for your company’s engines and generators. We proudly serve Victoria, TX, and the surrounding areas.